I haven't had time to post a bump update since week 25, and it seems like so much has changed since then... I'm feeling (and looking!) quite a bit more pregnant, and getting pretty excited as the time for baby Pray's arrival gets closer and closer. So here's a quick 30 week bump update! Since the last bump update, I've entered the third trimester, and started my once-every-two-weeks doctor appointments. I don't feel like it is absolutely unnecessary to be going to the doctor this much, but perhaps the appointments will seem more valuable as time gets even closer. I am so fortunate that I have had absolutely no complications and have had it really easy - so I'm not going to complain about doctors appointments seeming useless (as I realize that that is not a bad problem to have!). Apparently the little babe is about the size of a cucumber? Tons! I've gotten so used to all of the movement, that I feel like it will be super weird after giving birth and no longer have a little babe rocking and rolling around inside of me. Although these aren't really symptoms per se, my belly button has totally flattened out, which is interesting, and now that my baby bump is getting larger it has finally started getting in the way more. It's a super strange feeling when you are trying to put on your shoes and actually struggling a bit to get them tied! Also, I have officially taken off my wedding rings... I noticed them getting really tight when I was in Arizona last (probably because it was 115 degrees! ), and I've been so much more comfortable since taking them off. As an alternative, I've been wearing an old turquoise ring, but John has been sweetly insisting I get something nicer (we will see... just don't know if it is worth spending money on a nicer ring for such a short amount of time). Not too bad. Every now and then I have a really terrible night's sleep, but it is usually followed up by sleeping like a rock the next night. I've also been notably more tired the past week, or so, but I am fortunate that I live in the central time zone, but work in the pacific time zone... it gives me time to sleep in a bit longer than if I had to be into work for a typical day. Maternity clothes have been my biggest revolution since the last bump update. Up until a few weeks ago I have mostly been living in maternity dresses, but I recently got two new pairs of maternity jeans... they weren't cheap, but they fit like a charm and were worth every stinkin' penny. I bought this pair and this pair, and am totally excited to wear them with boots all throughout fall - in fact, being able to wear booties was the main selling point of purchasing them. I don't care if it is a t-shirt, shorts, dress, or whatever... if it's not maternity, I don't want to wear it for the simple reason of it being so dang unflattering at this point... only maternity clothes for me, my friends! Nothing really, but I guess I will just say a margarita... because who doesn't love margaritas? Also, although I love sporting my baby bump, I also miss people not staring at my stomach. Seriously, I feel like I get a lot of looks being pregnant; maybe it is just my imagination, but people legitimately stare at my baby bump instead of looking me in the eye... it's kind of weird! Not only that, but I recently had someone ask to touch my stomach. Let's just say, I'm not normally the type of person who gives off a "sure, you can enter my personal-space bubble" vibe, but I was so absolutely caught off guard and didn't know what to do, that I said "okay..." (but only after I was so confused that I asked for clarification on what she meant by that - awkward!!). Don't get me wrong, the person was super sweet and kind, but I did die a little bit inside when it happened... oy vey. Sweet as can be - he takes such good care of me and is going to be an amazing dad! We have a king size bed, and I swear, my snoogle takes up about half of it (...and then I take up the other half)... yet he never complains! No nursery progress has been made, but my dad has kindly offered (and we quickly jumped at the offer!) to come to Texas and help us finish it up. It will be great to have another set of hands (since I really can't do much in terms of helping due to paint fumes, etc.). 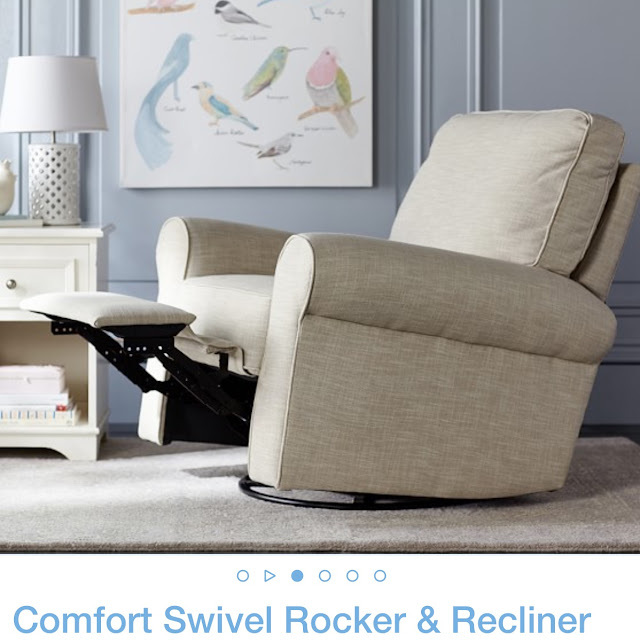 Although no progress has been made, we did buy the most awesome glider (the Pottery Barn Kids Swivel Rocker and Recliner), that I am a little bit obsessed with. So hopefully as soon as the nursery is done, we will put everything in it, and call it ready for the babe's arrival! Best part of being pregnant since my last update? So many things! I passed my 28 week glucose test (which is always a stellar thing), baby Pray had a beautiful baby shower, and we've taken a CPR class and a baby care class (both of which we enjoyed!). I'm loving watching things progress and us getting more and more prepared as time gets closer! Heading to Michigan this weekend! A dear friend is getting married, and I am honored to be a bridesmaid in her wedding. She is getting married in Holland, which is a beautiful little town on Lake Michigan. After our trip to Michigan, we have a trip to San Francisco planned at the end of September, and then I will pretty much be done traveling until the baby arrives! Time is flying! My sweet friends from church recently threw me a baby shower to celebrate the coming arrival of baby Pray and it was such a sweet weekend that I won't soon forget! My mom flew into Texas for the weekend (for the shower), and it was great to spend a few extra days with her; it really extended the celebration over several days which made it very special. We did some outlet mall shopping, grocery shopping (gotta take advantage of her Costco card! ), made some freezer meals, ate delicious food, and hung out around the house talking baby. On Friday evening my mom and I met John at his work and went to a delicious dinner on the River Walk at Boudro's. It was fun to show off San Antonio in the summer (as the last time she visited it was winter). It was certainly hot, but definitely worth venturing out. 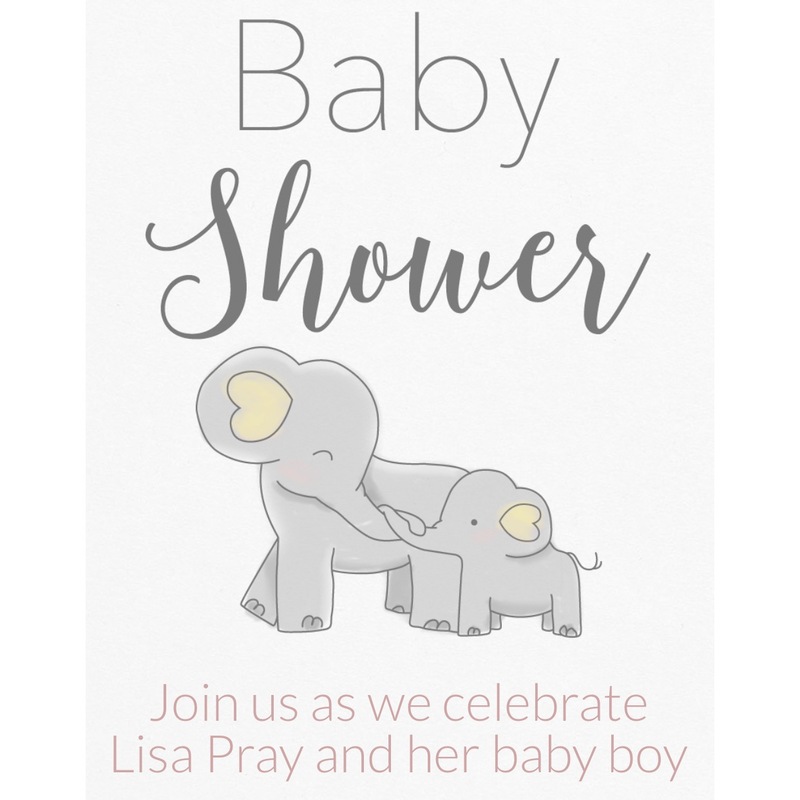 The baby shower was on Sunday afternoon, and was hosted by the gals in my church community group - two others of which are also pregnant (and one of which I share the exact same due date with... how fun is that?!). All of these women are such a blessing in my life, and I feel so thankful for the friendships that I have formed with each of them. My mom recently broke her wrist while playing tennis (she even needed surgery!). Although this is obviously a major inconvenience for her, it does mean that she gets to treat herself to frequent blow dry appointments without any guilt! So I made sure to get in on the fun and get a blow dry too - nothing better (especially when you have long hair...)!! John's mom was also able to join for the shower, and it was very special to have her there all the way from New Mexico. While we were at the shower, John was busy kayaking, and when he was done, John's mom drove his truck - with the kayaking hanging half off - back to the rental return... how's that for love?! How darling are these cupcakes? I mean, really... that baby carriage is just too dang cute. S'more favors... my love for camp fires cannot be matched! John (and I) love the outdoors and can't wait to introduce the new babe to these things too... so these were pretty fitting, if you ask me. On a side note, it is crazy to me how small some of these baby clothes are - I can't even imagine a baby being so tiny...!! Stone Oak Bible Church gals! As a thank you for my shower I baked some blue macarons... and let me tell you, they were quite the labor of love! I made a vanilla, cake batter, blueberry cheesecake, and cookies and cream. I threw out just about as many batches as I successfully made, but in the end, it was worth the work! One of the games that we played was a "He said/She said," and people had to guess whether certain answers to questions were said by John or myself - it was quite fun, but one of John's answers was just too good not to share. Question: What would be your dream career choice for your baby? John's answer: I want him to pursue excellence and be excited about what he does every day, but I truly don’t care what form that takes. If he flips burgers, I hope and expect that those burgers will be exceedingly tasty. If he becomes president, I hope and expect that he will bridge the gap between the mainstream political parties and develop and execute real solutions to the myriad problems facing this country. If you know my husband in person, you know that this answer is SO him; and I absolutely love every bit of him for it. I, of course, was that terrible parent who actually answered the question and provided a career choice for their unborn child, haha! 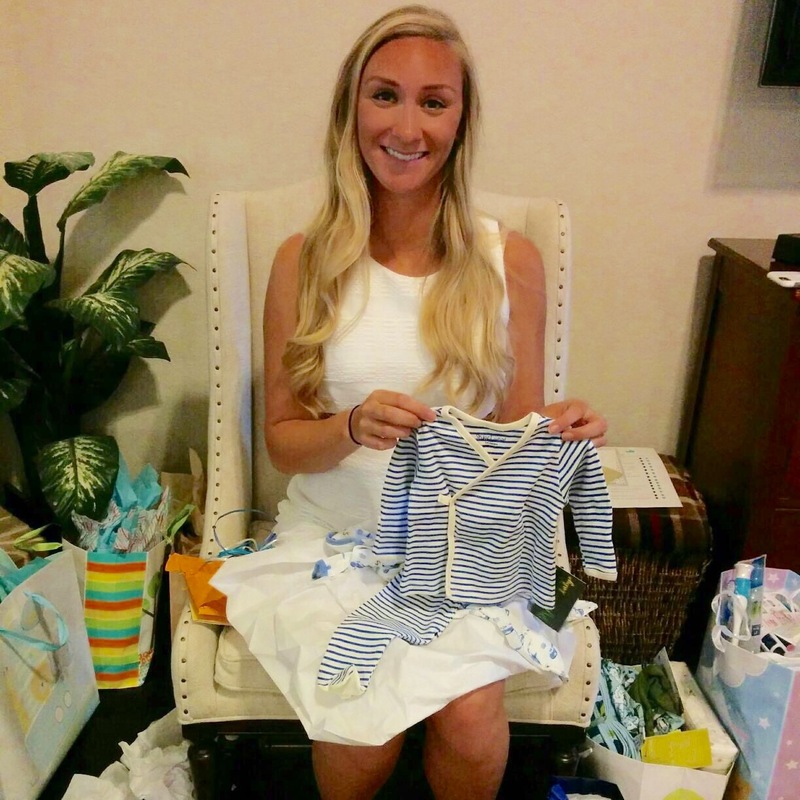 I would have to say that my favorite part of the shower was the "wishes for baby" cards. Each person (myself included) filled out a card that could be placed in a baby book (or wherever else!). It was such a sweet thing reading the responses when I got home - this baby is so loved already and is so blessed for the community that he gets to be apart of. To be honest, when trying to fill out my card, I was quite overcome with emotion of how much this sweet baby means to me already. And signing the card with "mom" was just too much for me to do in public (haha), so I waited until I was at home to complete mine. Referring to myself as "mom" was the first time that I think it truly hit me that I'm going to be a parent soon. After the shower, we met John back at our home and enjoyed some wine sipping and pizza on the porch for dinner (I, of course, did not partake in the wine sipping!). Our home backs to a green belt, and it is such a nice green space to enjoy - when it isn't too hot out, that is. And John and I couldn't have out-of-town visitors leave without a trip to the rodeo! There is a local rodeo about 20 minutes from our house, and it's such a fun thing; John and I have been there a few times, and we haven't grown tired of it yet! It was such a sweet weekend, and let me tell you, going back to "normal" life was a little depressing! I had such a great time thinking all-things-baby and it made me truly excited for the next coming months!